Are Roundabouts Right for Durham? 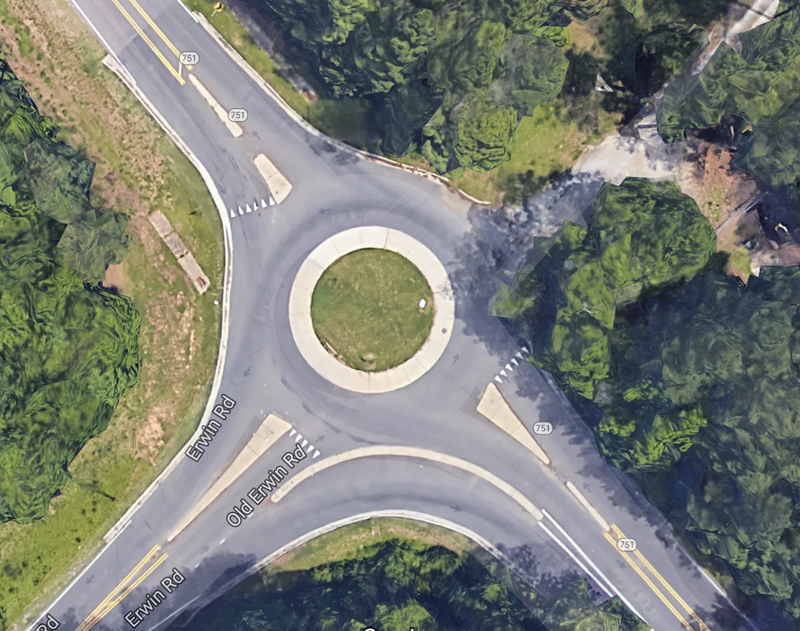 Last year, the NCDOT proposed putting a roundabout at the intersection of University Dr. and Hope Valley Rd. 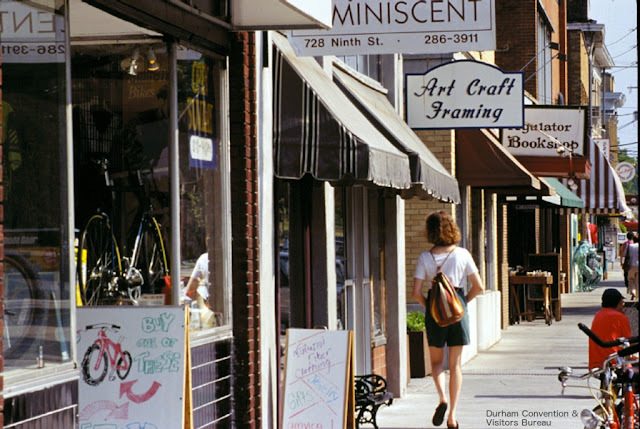 This intersection is close to the restaurants on Durham-Chapel Hill Blvd (Saltbox, Fosters, Guglhupf, etc), as well as the planned University Hill development, which is sure to bring additional traffic. There was backlash from organizations in the area, including Epworth United Methodist Church, which is right on the corner of the intersection. They are worried that during and after construction, it will be harder for their congregation and parents of the children in their preschool to access the church. 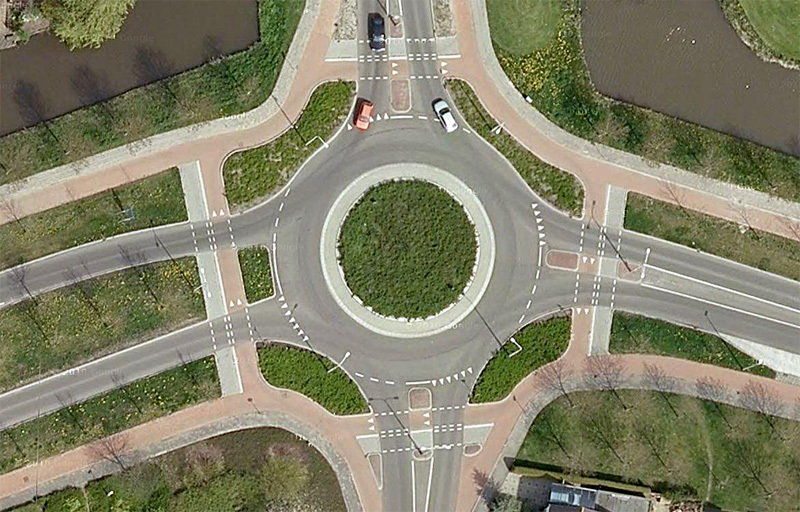 There are a ton of benefits to roundabouts, if they are done the right way. However, I agree that NCDOT should work with Epworth United Methodist Church to come up with a solution that is satisfactory to them during the construction phase. According to the Kittleston.com Roundabout Database, Durham currently has 27 roundabouts throughout the city. All of these were completed in the last 20 years with most of them appearing in the past 12. While roundabout creation in the United States pales in comparison to Europe, they are gaining some popularity in certain communities in this country. Throughput: Traffic slows down, which creates safer streets, but since there are no long waiting lines at stoplights, roundabouts are often more efficient at moving cars through an intersection. Cost Savings: Roundabouts would save Durham (and taxpayers) money. There is less maintenance involved than with a traffic light, less need to bring out electricians, and a lighter electric bill. Business Growth Benefit: This one may be surprising, but roundabouts can actually increase traffic to local businesses. Instead of taking a left turn into a business, some people (not all) feel more comfortable looping around the roundabout and taking a right turn. Safety: In four-way roundabouts, there are eight conflict points between cars and pedestrians. At a traditional 4-way stop, there are 32! More Safety: With slower speeds and fewer conflict points, evidence shows that collisions of all types goes down, EVEN in the period when the roundabout is new and drivers haven't had a chance to "get used to it" yet. T-bones don't really happen in roundabouts. Reduce Number of Lanes: This one is easy. You don't need a left-turn lane if one currently exists. Public Art: The center island is a great place for public art or other ways to build and showcase a neighborhood or city's identity. The versions that NCDOT usually places are more like the one at the top of the screen. Regardless, it still brings a lot of advantages. So, institutions such as the Epworth United Methodist Church may actually benefit in the long-term from a safer intersection at their location and more options for entering their driveway/parking lot. As mentioned, studies have shown that roundabouts can be beneficial to business growth and I imagine that would hold true for nonprofits as well. That said, DURING construction, NCDOT should work with the church and other businesses in the area to make sure they are all accessible. And of course, listen to any additional concerns that those organizations have that may not have been thought of. If you have time and want to learn more about roundabouts, I recommend this video from the Minnesota Local Road Research Board.